Social media plays a huge role in how we run our businesses these days, but this is still a relatively new concept for some. For instance, Citipost Mail have been looking into what social media platforms can work best for you and your business, in particular Instagram, which is fast becoming the most popular way for businesses to interact with their customers and followers. Here we’ll cover how to use Instagram specifically for business, looking into the pros and cons of using Instagram as well as what the social network can offer you, such as business profiles and targeting. We’ll also take a look at how to pick the right target audience for the platform and explain how it’s different from other social media platforms such as Facebook and Twitter. Optimizing interactions with your target audience through a business profile on Instagram can be a challenge if you’re not quite sure what it is you need to do. Using tools such as hashtags, creating the correct type of content and choosing the right style for your business is key. 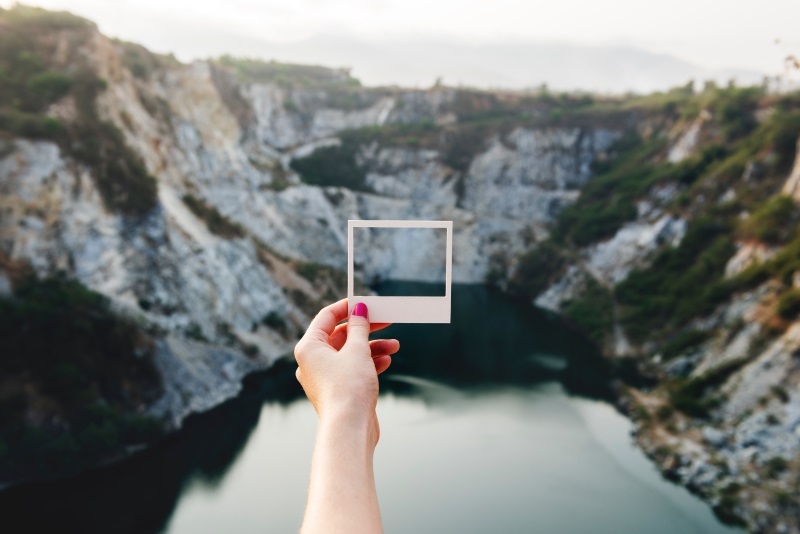 There are also a number of other tools that can be used to maximize visibility such as embedding photos onto blogs, sponsored ads and regramming! Over 400 million people use Instagram every day and over 80% of Instagrammers follow a business on Instagram. Based on this, it may seem slightly foolish not to harness at least some of those users to help promote your business. 48.8% of major brands use Instagram as part of their long-term marketing strategy. Encouraging people to interact with your business is the key to success on Instagram – some of the top brands have an engagement rate of 4.21% per follower. That’s 58 TIMES more engagement per follower than Facebook and 120 TIMES more engagement per follower than Twitter! 75% of Instagram users will take an action such as visiting a website after seeing an Instagram advertising post and 60% of Instagram users say that they have used the platform to learn about a product or service. In terms of allowing your followers to learn more about your business and the products or services that you offer, Instagram can be invaluable. If you’re looking for maximum exposure, a post from someone with a huge amount of followers can be a serious hit; make sure you know your limits though, as a sponsored post from an Instagram influencer can cost up to $100,000! Sound like your kind of people? If so, you could be missing out on some valuable exposure! The first thing you should do is set up a business account. Make sure that you keep it separate from your personal account. Optimize your profile with a link to your website and write a great bio. Also, set a recognizable brand profile image such as a logo. This will make you easily identifiable at a glance. The next step would be to start posting, avoid hard sales posts and embrace creativity & professionalism. If you’re using images that aren’t taken using the Instagram app, be sure to size them correctly (1024×1024 px). These images should also capture your brand culture and add value to what you’re offering. Lifestyle shots are great for this. Always make sure you respond to your followers, whether that’s replying to comments, thanking followers or following someone that has followed you. All of these things will build a sense of connection. Liking other content will also help you to connect. That’s the basics, now how do you improve? Post regularly, but not too often. 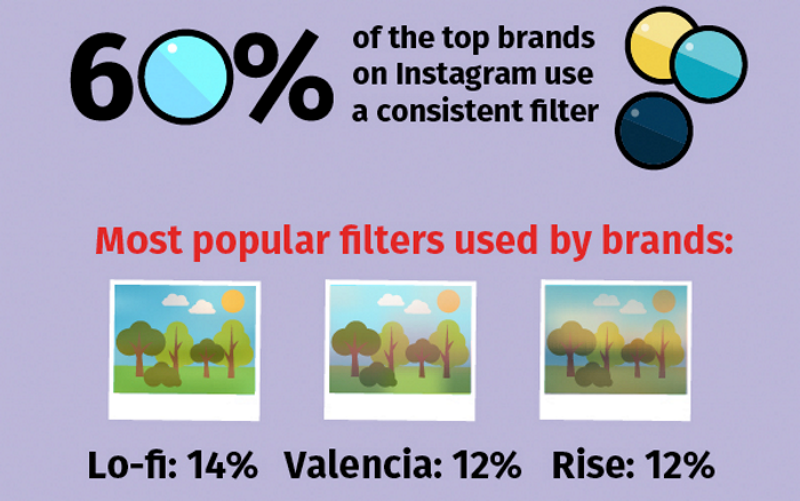 Top brands post an average of 4.9 times per week on Instagram. Being overzealous with the number of posts can discourage people from interacting with you and may even see you lose followers. The Mayfair filter attracts the most interactions with generally lighter, brighter images generating 24% more likes than darker ones. Adding to this, images with a single dominant color generate 17% more likes and the dominant color blue in an image will generate 24% more likes than predominantly red images. Finding out the types of things that are popular will also help. This will involve quite a lot of research time but it’s been found that pizza is the most Instagrammed food and the world’s most Instagrammed locations last year were Disney Theme Parks! Consider adverts. Ad recall from sponsored Instagram posts is 2.9 times higher than Nielsen’s online advertising average, making it a significant and important method of paid media. Run competitions, offers or make exclusive announcements. 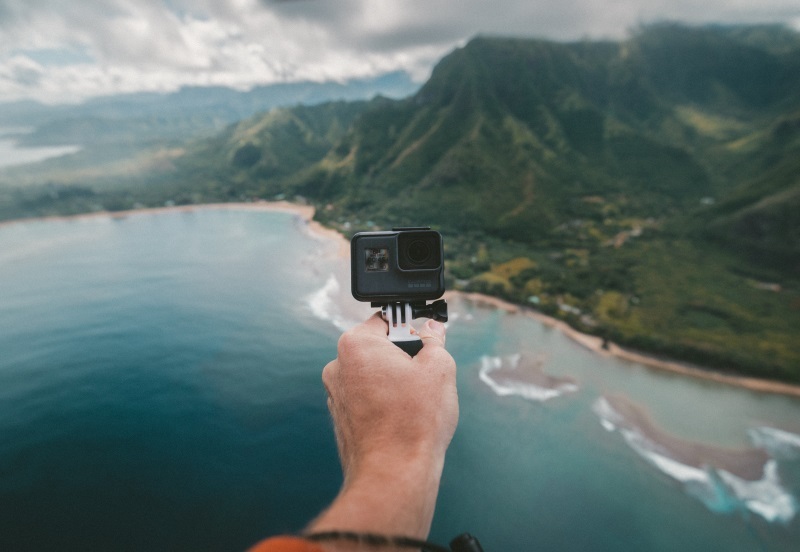 41% of Instagrammers say they follow (or would follow) a brand for perks and giveaways, 70% of those Instagrammers have taken part in a contest of some kind, or would like to. This is a great way to generate a buzz and will encourage users to return at a later date. 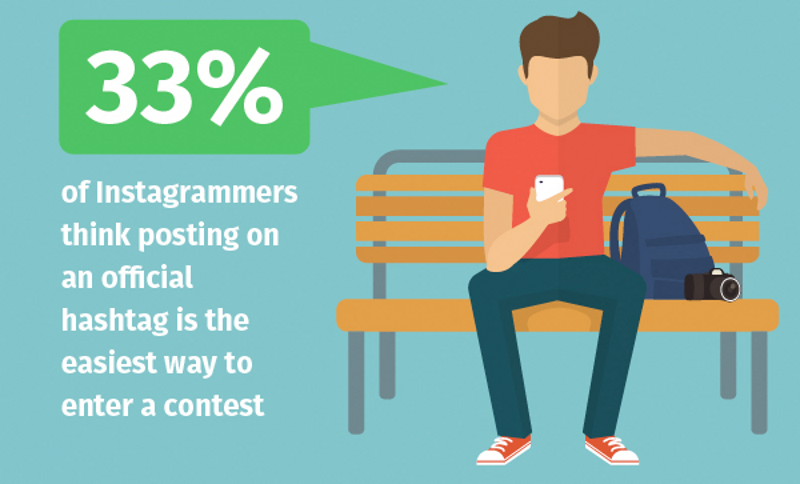 33% of Instagrammers think posting on an official hashtag is the best and easiest way to enter a contest. Use geo-tags when appropriate. Posts with a geo-tag get 79% more engagement as opposed to those that don’t. Use geo-tags when in important locations relevant to your brand. This works particularly well for retail stores and cafes. Work with Instagram ambassadors and influencers. 78% of consumers make purchases influenced by a brand’s social media. Connections with influential people and other brands can significantly increase engagement and add further credibility to your brand. Social media is more likely to influence the purchase decisions of 16-35 year olds. Regram your followers’ tagged photos. 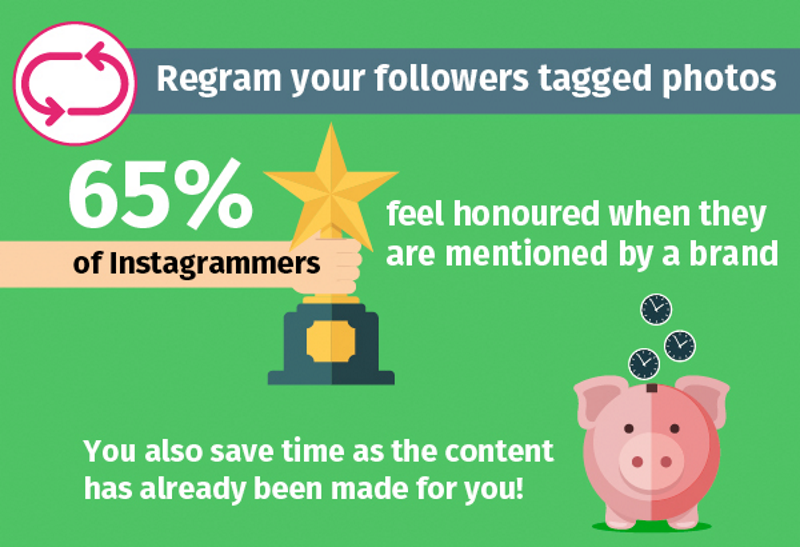 65% of Instagrammers feel honored when they are mentioned by a brand on social media and it will also help to build a sense of loyalty between you and your followers. You also save time as the content has already been made for you! Due to the importance of Instagram, we queried if you would be adding the ability to monitor via Advanced Web Ranking’s social monitoring tool (which is currently limited to just Facebook and Twitter). We were advised our query had been logged; that the request had been made to research the API permissions the network provides to allow for the addition of Instagram monitoring as a feature in Advanced Web Ranking; and that we would be updated when the Product Management team reaches a decision. When I saw the notification of this post come in I hoped this meant you had integrated Instagram into Advanced Web Ranking, but on logging into our Advanced Web Ranking account it seems not? Which suggests the Instagram API would allow for integration within Advanced Web Ranking. We’ve not heard anything from the Advanced Web Ranking support team regarding the Product Management team’s decision regarding Instagram integration. Sorry for the wait, I understand how important this feature is to you. The number of requests we send over to our Project Management team is high and sometimes the turnaround time for queries increases more than we’d like. Again, sorry about that. I’m afraid that our plans for the next period don’t include any social media features or improvements, so I don’t think Instragram will be integrated anytime soon into AWR Cloud. We’re now focusing almost exclusively on providing the best rank tracking service possible to our users. I think Instagram focuses more on pictures, photos. For photographers, fashion industry, models or those who sell products, its great platform. But for a logistic company and other business services, it’s still challenging to take full advantage of it.